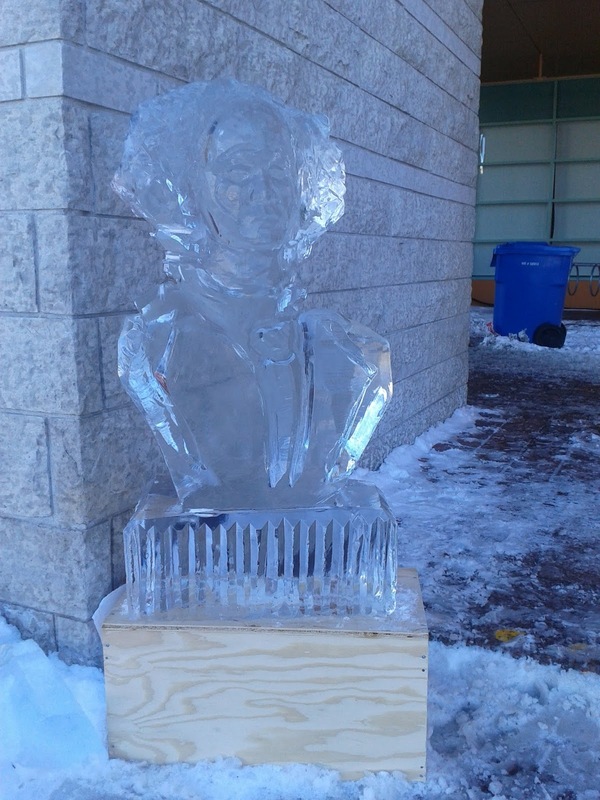 Michael Suddard: Happy New Year! This first morning of 2013 we visited Ottawa City Hall to see the remnants of last evening's Scottish Hogmanay party put on by The Scottish Society of Ottawa. Rumour had it there were ice sculptures to be seen at the party amongst other entertainment including the Rink of Dreams skating rink and the concert stage with the Barra MacNeils performing. With a temperature of minus thirteen degrees Celsius, my wife and I bundled up and headed downtown to see if the rumour of ice sculptures were true. TD Bank's trademark easy chair made of ice. 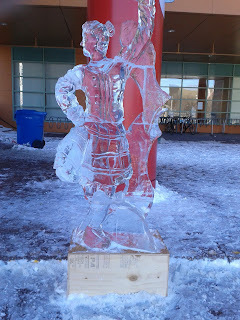 Scottish Highland Dancer ice Sculpture. 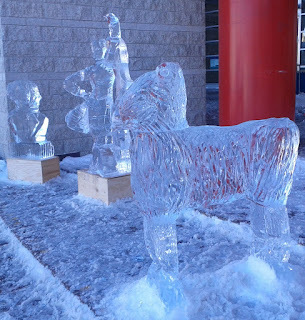 Sheep, Highland Dancer and Scottish Person. 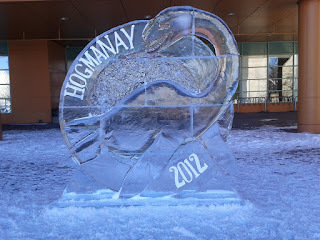 Hogmanay Party Logo in Ice. Scottish Bag Piper in Ice. Overall an interesting set of ice sculptures that provides a good example of what to expect in February at Ottawa's Winterlude festivities across the street at Confederation Park. Thank you for the tip on the exposure. I have an Android phone that has a camera on it. 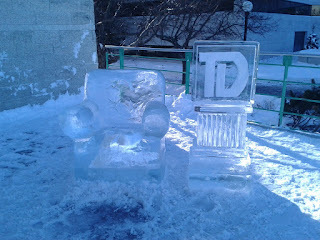 I may fiddle around with it to see what I can do. I have just looked and there is an "exposure" function on it in the settings. 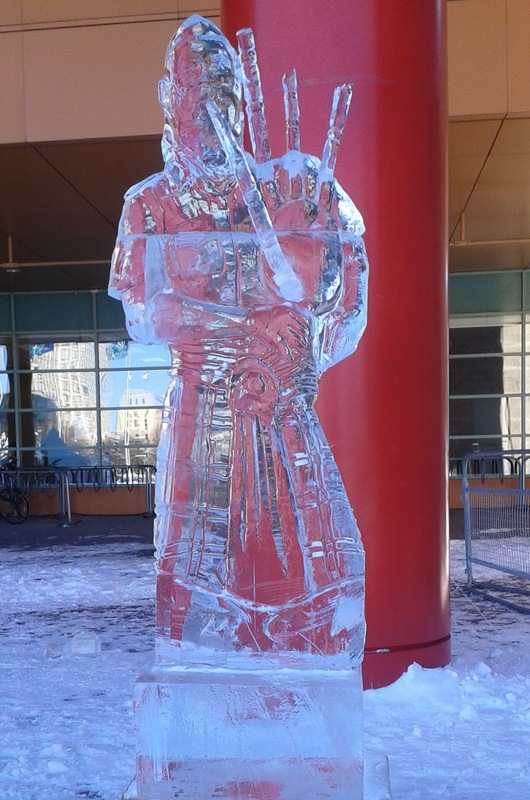 Perhaps during Winterlude when there are about a hundred ice sculptures I may try this trick. 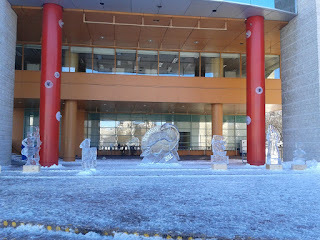 I always look forward to seeing your photos on your blog.